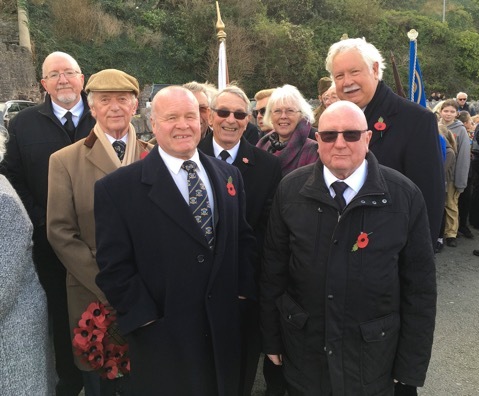 Members of the Lodge gathering to march to the War Memorial. 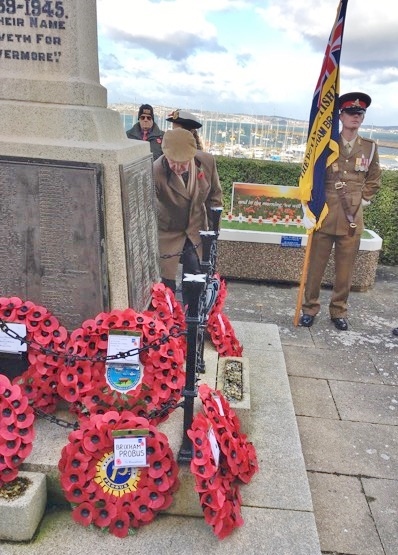 The Worshipful Master Philip German laying a wreath on behalf of True Love & Unity Lodge 248. 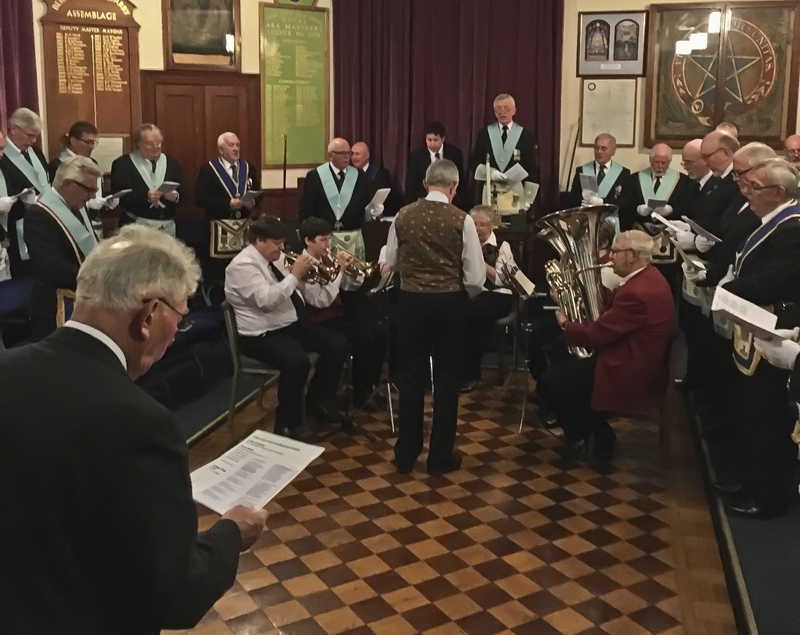 The Lodge was again delighted to have the Brixham Town Band join us in the Lodge and play a number of traditional Christmas carols. 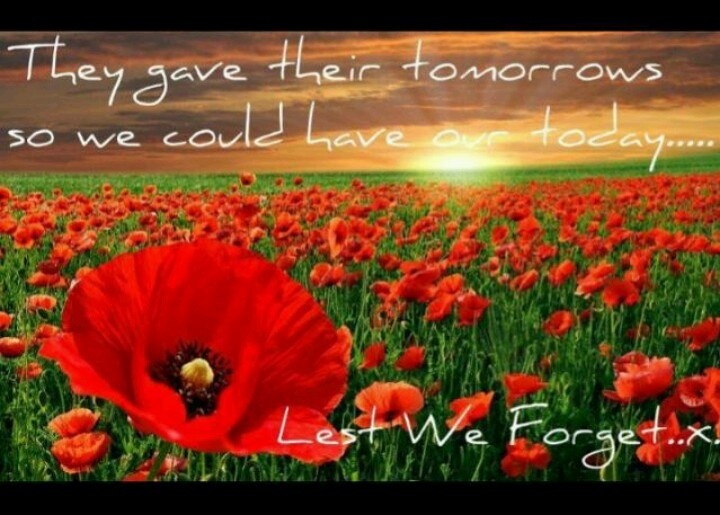 The music and singing was a wonderful experience and enjoyed by all. 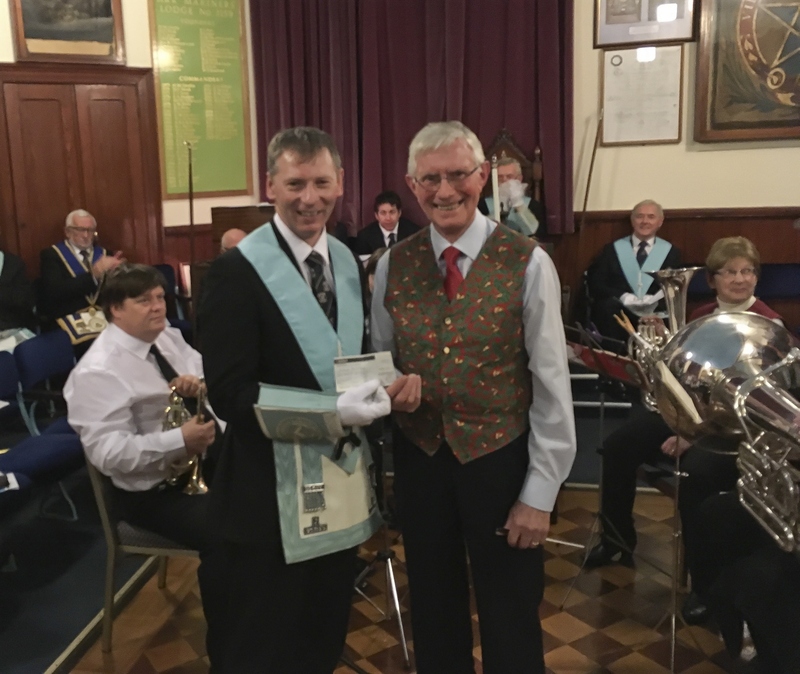 The Worshipful Master Vic Williscroft thanking David Phillips, the Musical Director of the Brixham Town Band, and presenting him with a cheque for £100 towards the purchase of new instruments. 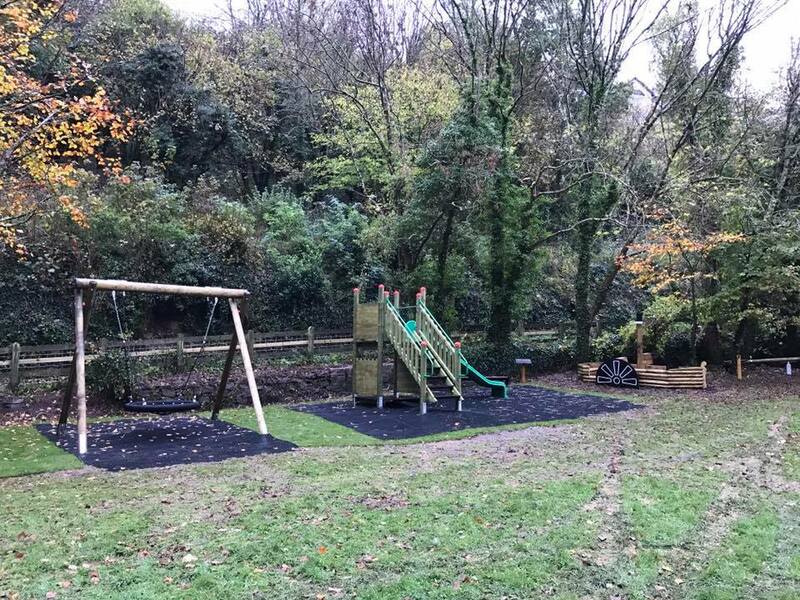 The Lodge has been pleased to help fund a new playground in Kingswear. 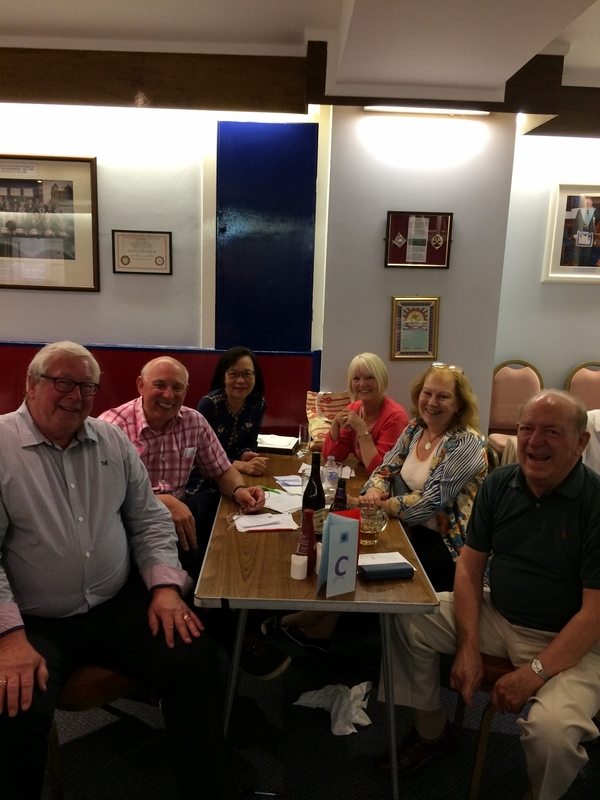 Lodge members along with partners and friends enjoyed a very successful Quiz Evening at the Lodge on Friday 23rd June whilst raising £260 towards the new kitchen. The eminent quiz master David Bubbear, who has hosted many quizzes for charities over many years, was coaxed out of retirement to again host this Lodge Quiz. Thank you David for yet another truly enjoyable evening. AND THE WINNING TEAM BELOW, comprising Carl & Carol Hetherington, Tony & Marie Higgins and Harry & Miranda Gateshill (commonly known as "The Kingsweirdos"). David we need just one more quiz next year to allow us to beat this formidable team! This login is for the use of the website administrator only.